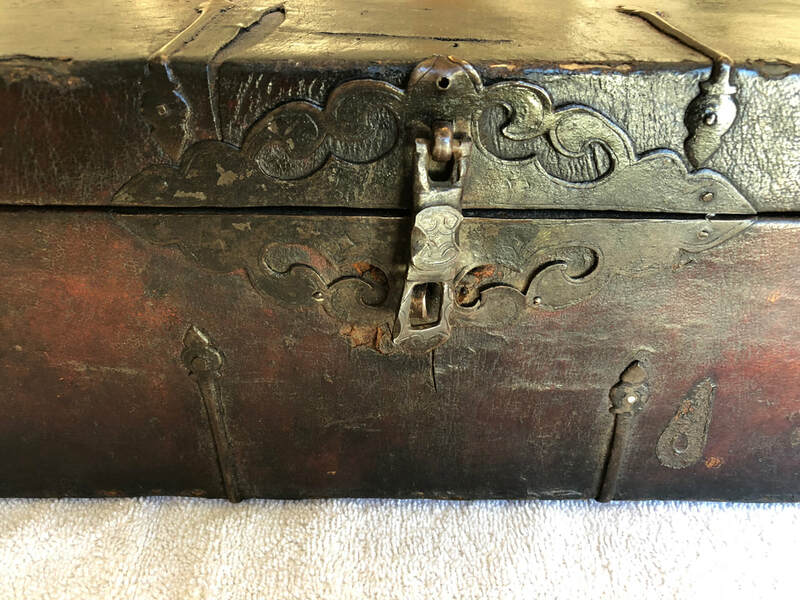 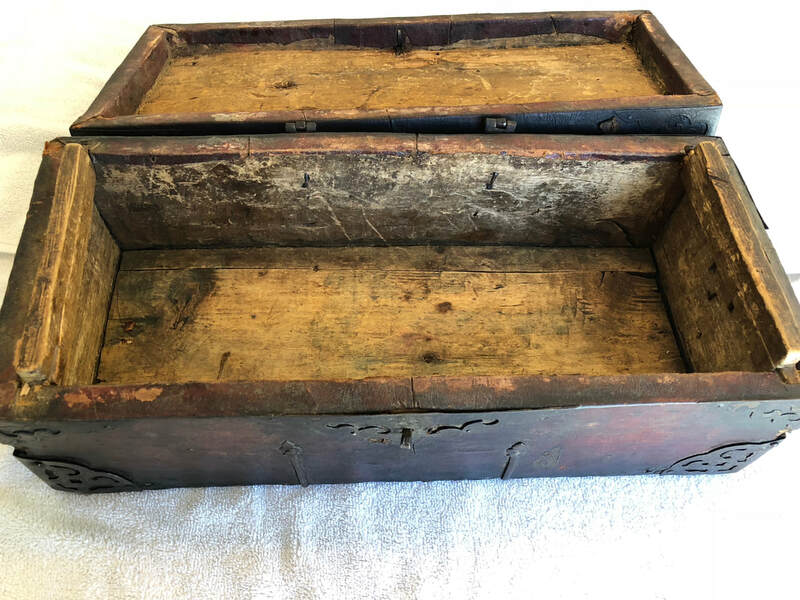 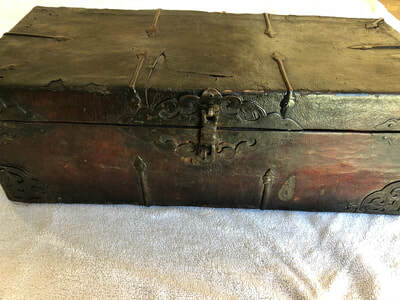 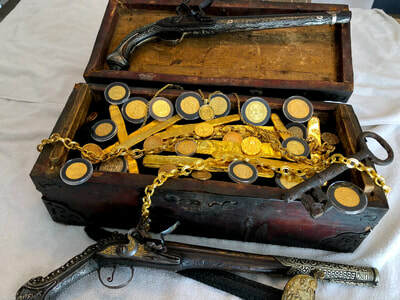 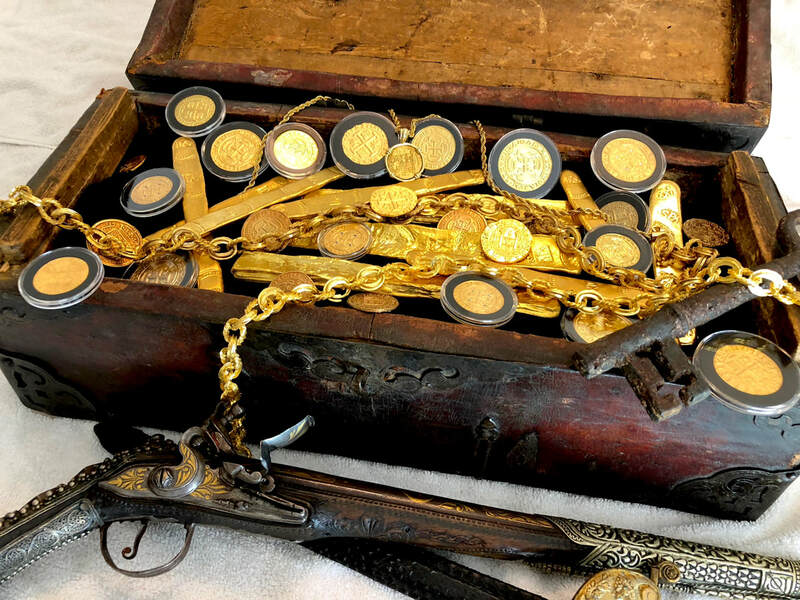 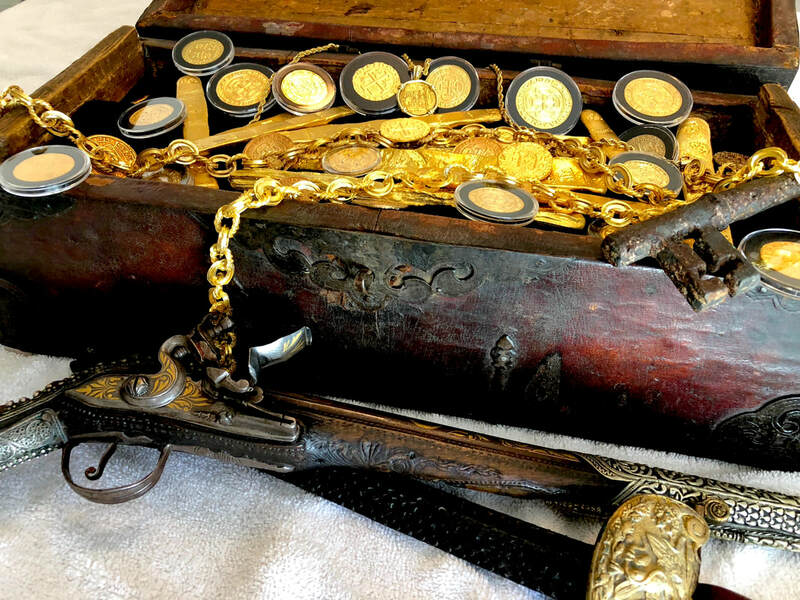 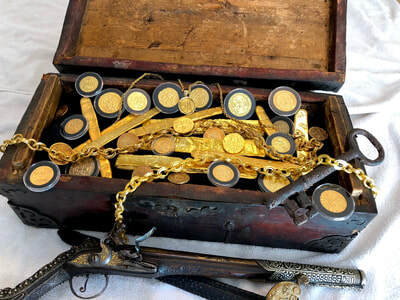 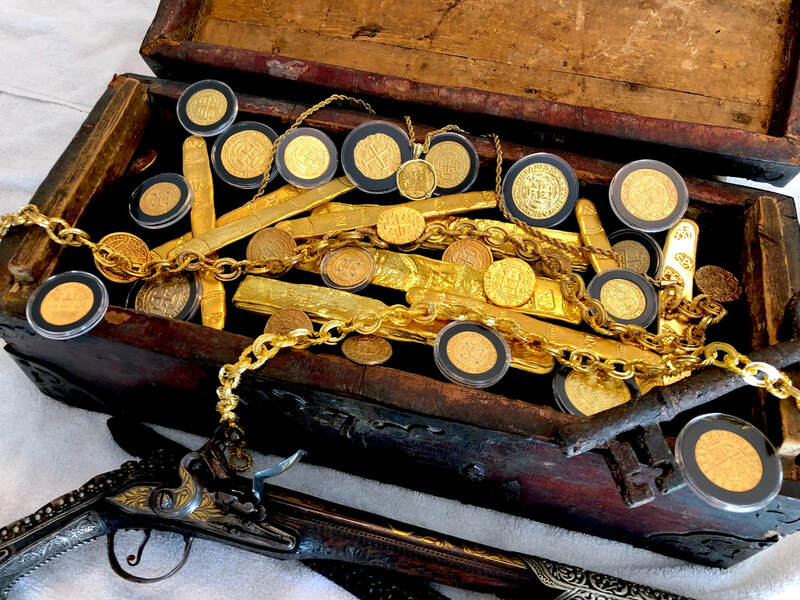 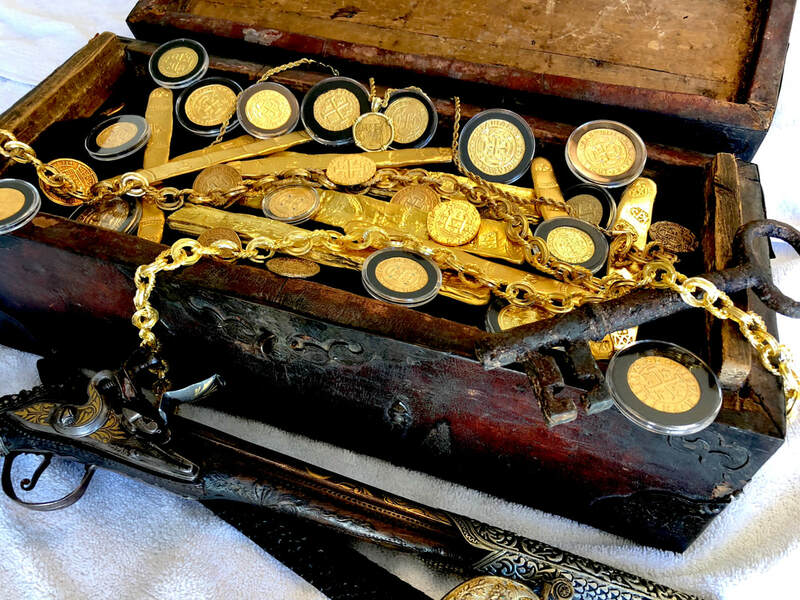 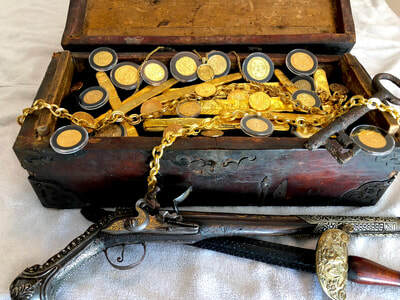 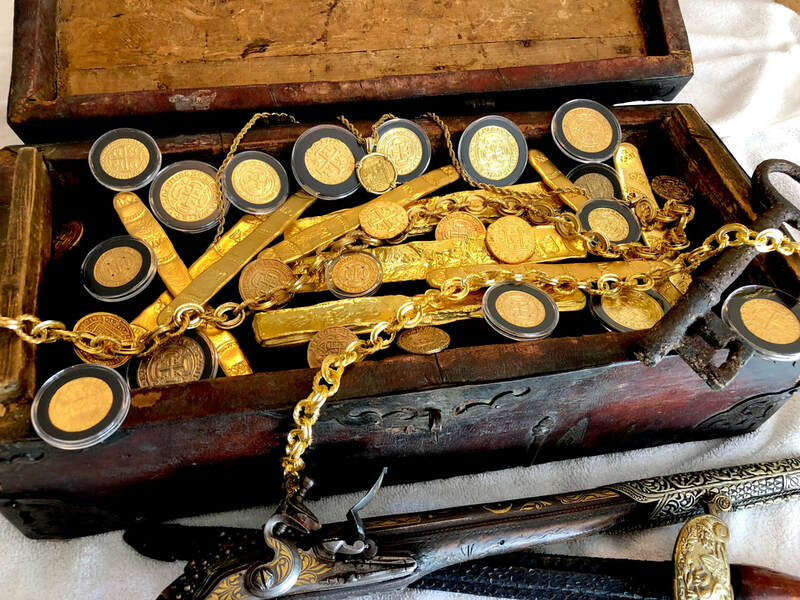 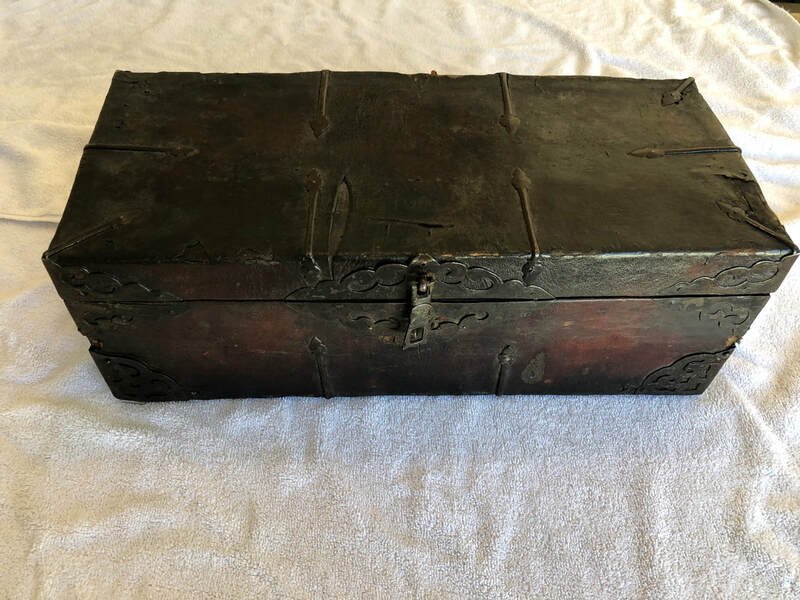 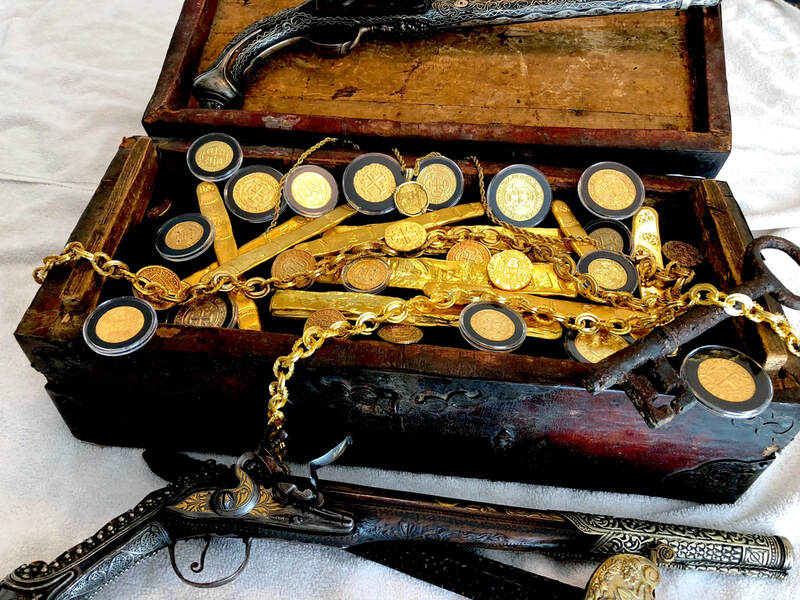 TREASURE CHEST “REAL” FROM 1600-1700’s CARRIED GOLD COB DOUBLOONS ESCUDOS in GALLEONS PERU This authentic TREASURE CHEST sailed the Seas in the 1600 to 1700’s through the Caribbean and Atlantic Oceans in Spanish Galleons that transported the King’s GOLD TREASURES and Queens Jewels. It’s 19 1/2” by 8 1/4” deep and 6 3/4” tall and weighs 3415 grams. 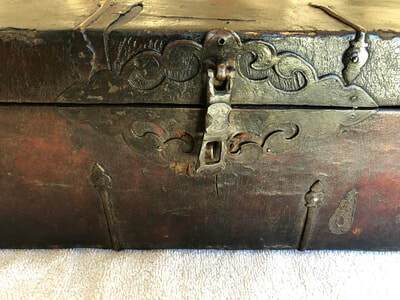 It is built from hard crude wood and covered in leather with ornate pierced and engraved blacksmith made Iron Mounts and lock hasp. It has the Original hinges and is in condition as found, missing right back corner plate. 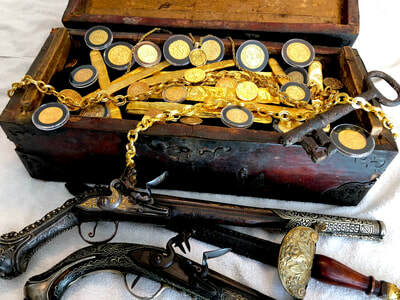 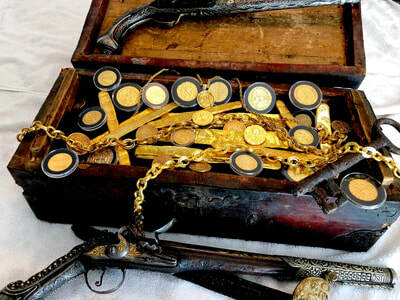 This Treasure Chest may very well of been buried on a Caribbean Island when found! Own your very own Authentic “TREASURE CHEST!” * comes with Photo Certificate of Authentication.